The moon is full. Morning stars are Uranus and Venus. Evening stars are Jupiter, Mars, Mercury, Neptune, Saturn and Uranus. Rashad Jennings and his dance partner Emma Slater were crowned the winners of Dancing with the Stars Season 24 in Los Angeles Tuesday night. The moon is waning. Morning stars are Mercury, Venus, Mars, Uranus, and Neptune. Evening stars are Jupiter and Saturn. 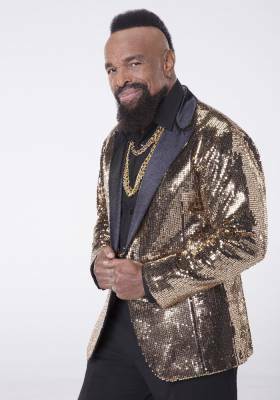 Mr. T reveals real reason he joined 'Dancing with the Stars,' argues "nobody is going to boot Mr. T off"
Mr. T is reflecting back on his Dancing with the Stars experience with Kym Herjavec, including the real reason why he decided to join the show to begin with. Dancing with the Stars eliminated Mr. T and his professional partner Kym Herjavec during Monday night's Season 24 performance show on ABC.